When it comes to making money online one of the best ways is to take your own experiences and unique skill sets and create a product around it. While this part can be a challenge at first once you have a plan of action for the type of product you want to build the content comes easily since you are already an expert in this field. Where the real trouble comes now is trying to figure out how to design a website, connect the payment integration, your auto responder and if you want an affiliate platform behind it. 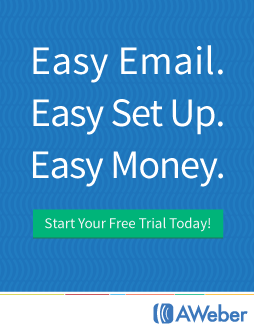 This has been a huge challenge for many but a new program has come that allows you to build such sales funnels and marketing funnels and it is called Click Funnels. 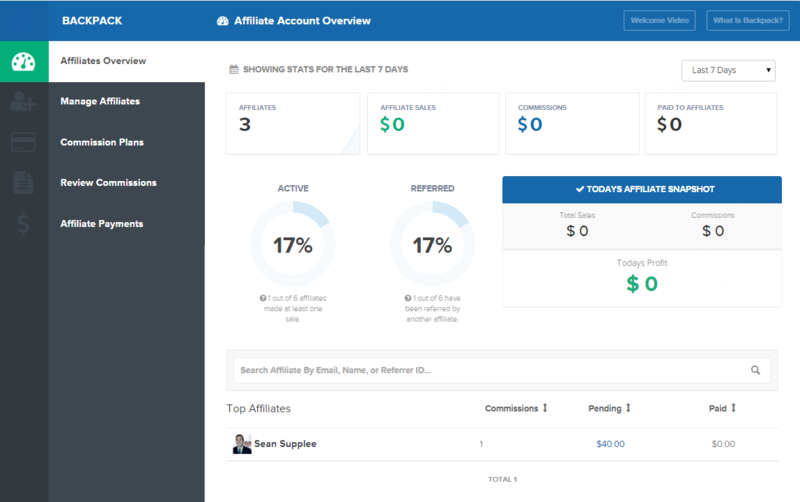 One of the brand new features of Click Funnels that was just released is the introduction of the affiliate system called Backpack. Backpack allows you to quickly build out beautiful and highly integrated affiliate platform and attach it to your funnel you have created to sell your product or services. You can add in unique affiliate links, Clickoptin links, Email ads, Banner ads and more. You also have full control over your affiliates and payouts for them below is a screenshot of an example overview of Backpack so you have an idea of how well your affiliates are performing. You can also build out custom commission plans that allow you to have a 2nd tier affiliate payout for those who refer other affiliates to promote your products/services. 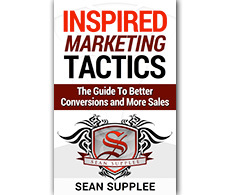 This solely is one of the most powerful methods I have found for getting more affiliates into your program to promote your products with no extra effort on your part. If you have a product or service you want to share with the world then lock in your 14 day trial at Click Funnels and share it, make money and achieve the goals you have always dreamed of. It’s time to take action.